Considered one of the most popular games in the market, Minecraft is a sandbox Java-based multi-platform game that easily plays on the Microsoft Xbox360-, Sony’s PS3 gaming consoles as well as on the Mac OS X, PC Windows and GNU/Linux computers. It was created originally for the PC back in May 2009. The full version was released in 2011 with gradual updates preceding it. The Apple iOS and Android versions were released at around the same time. The following year, the game was released on the Xbox 360 as a live arcade game, followed by its release on the PS3 and PS4 lately. 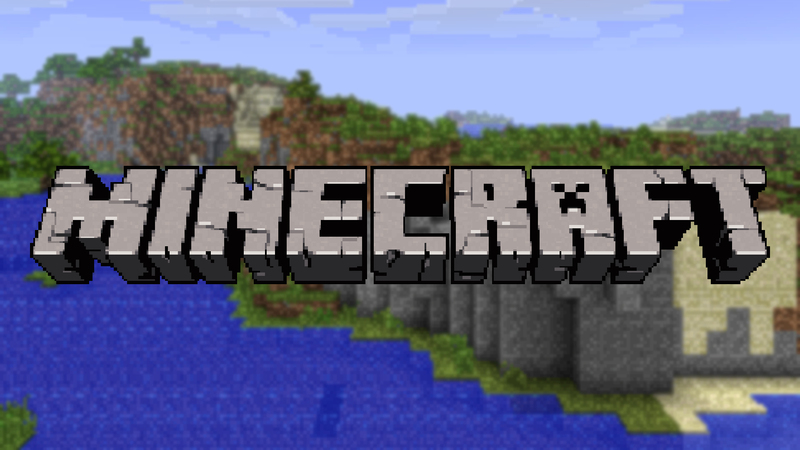 As of September 2013, Minecraft has had 12 million copies on the PC and 33 million on other platforms. On the PC platform, Minecraft can easily be played with a very modest set of hardware requirements shown on Table 1. Table 1 clearly shows that as of today, playing Minecraft is a breeze even for the least muscled gaming laptops powered by a 3rd generation quad core CPU and our recommended minimum for the graphics engine which is the Intel HD Graphics 4000. Nevertheless, this is only true when playing the latest Minecraft 1.6 and 1.7 at low to medium game detail settings at medium high definition display. Some gamers seem to be complaining that at full HD and using the highest game detail settings, they can’t play Minecraft as seamlessly or smoothly as they cold at lower settings. The minimum threshold for playing games smoothly is anywhere between 30 to 40 frames per second (fps). Some games can get by with lower frame rates but gamers can notice some stuttering, movement freezes or jumping, and depending on how you score on the game, you could miss scoring due to frame lags and skips. Minecraft v1.6.1 have been reported to suffer a non-playable 6 fps at 1280 x 1024 HD resolution using Windows Vista Home Premium 32 on a PC powered by the AMD Phenom II X4 clocked at 3 GHz with 4GB DDR2 RAM, and the ATI Radeon HD 4350 graphics engine. A PC powered by the i5-3330 clocked at 3 GHz using its in-built Intel HD Graphics 3000 also suffers running on a Windows 7 Home Premiums 64 at a 3-6fps at full HD (1920 x 1080) screen. Even with our recommended Intel HD Graphics 4000, Minecraft 1.6.1 at high game settings only registered 7-18 fps at a low HD resolution of 1366 x 768, when it used to play at a seamless 170fps for version 1.5.2 on the same machine. The machine is powered by an Intel i7-3630QM clocked at 2.4 GHz with 8GB DDR3 running a Windows 8 Pro 64. The same graphics card in an i7-3540M clocked at 3 GHz with 8 GB DDR 3 running the same OS also could not play the Minecraft v1.6.2 at a default 1920 x 1200 resolution with only 6-10fps. Yet another otherwise capable laptop powered by the i7-2670QM clocked at 2.2GHz with 8GB DDR3 RAM running a Windows 7 Home Premium 64 with a Class 3 GeForce GT 630M graphics engine played the Minecraft 1.6.1 at high game settings at an awful 4-12 fps on the same 1366 x 768 screen. This same machine played the Minecraft 1.5.2 at 80fps at the highest game setting. On the other hand the same HD Graphics 4000 engine on the i5-3210M clocked at 2.5GHz with 6GB DDR running a Windows 7 64-bit can play the Minecraft v1.6.4 at a comfortably seamless 40fps at low HD default (1366 x 768) resolution. Even a low-end GeForce 210 integrated with the AMD Sempron 145 clocked at 2.6GHz with 8GB RAM and running a Windows 8 Pro 64 can run the Minecraft 1.6.4 at a respectable 30-35fps. A low end Class 3 AMD Radeon HD 7340 paired with an AMD E2-1800 CPU clocked at 1.7GHz with 16GB DDR3 and running Windows 8 Pro 64 can also run the v1.7 at 35-45fps. Another case involved an old Pentium 4 Prescott supported by just 4GB DDR running Windows 8 Pro 64, and using an old GeForce 5700 Ultra graphics engine. It runs the Minecraft 1.6.1 at 30-45fps but uses the java 1.7.0.25 v64. A class 2 GeForce GTX 660M configured in SLI (dual card) with 2GB GDDR5 video paired with an i5-3570k processor clocked at 4.3GHz supported by an 8GB DDR3 ad running Windows 8 Pro 64 can run a Minecraft v1.7 at full HD (1920x 1080) at a fantastic 478 – 600 fps. It appears that in many cases where the game can be played smoothly, it is important that the desktop or PC maximizes the 64-bit computing muscle of the OS if used. This means installing the latest 64-bit Java version such as the Java 1.7.0.17 iteration. 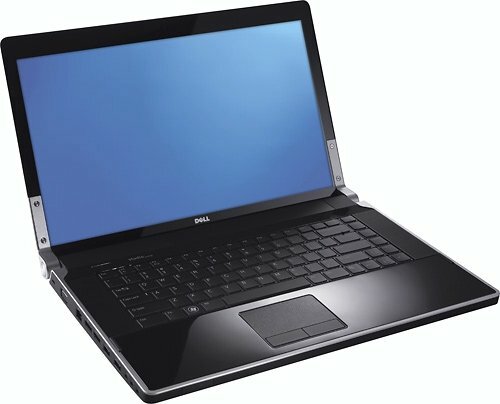 Laptops powered by Class 3 graphics engine such as the HD Graphics 4000 and the NVidia GeForce GT 630M mentioned above are known to fail at playing or have problems playing most of the demanding games at high to ultra-high game settings at their default screen resolution. So it is not surprising that a relatively non-demanding game like Minecraft 1.6.1 would not play at all when set at high game detail setting in such machines. Playing at the low to medium game settings at default HD resolution appears to have no problem across all machines that conform to the recommended hardware specs indicated in Table 1. That means just about all the current generation laptops can play the game. However, versions 1.6.1 and 1.6.2 appear to be more resource intensive and problematic in even medium powered PCs at high game settings. Machines that could play Minecraft 1.5.2 or older under high game settings start to suffer when playing the 1.6.1/1.6.2 versions at these settings. Nevertheless more recent versions 1.6.4 and 1.7 may have been better optimized to handle graphics resources so that they can play when at high game setting in the same machines that didn’t play versions 1.6.1 and 1.6.2. Below are five laptops that are sufficiently powered to play Minecraft v1.6.4 and 1.7 at high game setting in their respective default screen resolutions. Except for one old Dell and Toshiba laptop, it no longer makes sense to recommend a high performing laptop to play v1.6.1 and 1.6.2 which are on the way out anyway. In addition, playing these versions may require more laptop gaming muscles than is necessary to enjoy Minecraft when the newer versions can be played on more modest laptops. Some of these are powerful are configured in SLI or using Class 1-2 graphics engine. But in all cases, it is important that the latest 64-bit Java platform is installed to maximize the 64-bit OS used and provide a more seamless Minecraft gameplay. Priced at $758, this Toshiba Satellite is powered by the AMD Phenom Triple Core Processor clocked at 1.8GHz and supported by a 4GB DDR3 RAM expandable to 8GB. Its 14-inch LED backlit low HD resolution (1336 x 768) screen is driven by the ATi Radeon HD 4250. Data storage is minimal at 320GB running at 5400 ROM. It comes preloaded with |Windows 7 Home Premium (64-bit). This is an old laptop but an able gaming laptop in its time. With a small default resolution and loaded with the latest 64-bit Java, it should be able to play the latest Minecraft versions with ease even at high game setting at default resolution. You can get the L55-A5351 which is pretty similar. This Dell studio XPS line of laptops is already three years old in the market but properly configured, it has shown to be capable of running Minecraft v1.6.2 at a comfortable 60fps at its default HD resolution (1920×1080 or 1600 x 900 depending on model). Priced at $511.97, this model is powered by a 3rd generation i5-430M with 3MB L2 cache and clocked at 2.26GHz that can reach 2.53 GHz with Turbo Boost, and is supported by a 4GB DDR3 RAM. Its LED backlit 15.6-inch screen with default HD resolution of 1600 x 900 is driven by ATI Mobility Radeon HD 4670 Graphics with 1GB video RAM. Data storage is served by a modest 500GB SATA drive running at 7200 RPM. 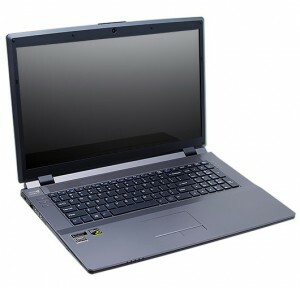 It comes with an 8x Slot loading DVD read/write optical drive, WiFi b/g/n and a 1.3 megapixel camera. This Lenovo Y410P is powered by a 4th generation Haswell i7 Intel Core i7-4700MQ clocked at 2.4 GHz (up to 3,4 GHz with Turbo Boost) with 6MB Cache. 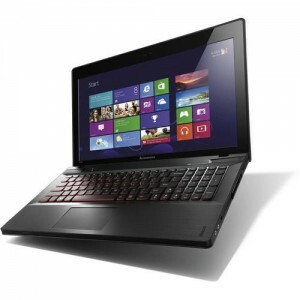 The CPU is supported with an 8 GB DDR3 1600MHz system RAM expandable to 16GB. Its modest 14-inch LED backlit display sports a standard low HD (1366 x 768) resolution driven by a powerful Class 1 NVidia GeForce GT 750M graphics engine with its own 2GB video RAM. Data storage is served by a 1TB Hard Drive and DVD R/W Optical Drive. It comes with an integrated HD webcam, wireless Centrino N-2230 and a host of other wired and wireless data connectivity options. It is preloaded with the Windows 8 64-bit OS. This Sager NP7370 essentially rebrands the Clevo W370ST hardware with the same 17.3-inch full HD (1920 x 1080) LED backlit screen driven by the Class 2 NVidia GeForce GTX 765M that enables you to play many of the most demanding games at medium to high game settings. 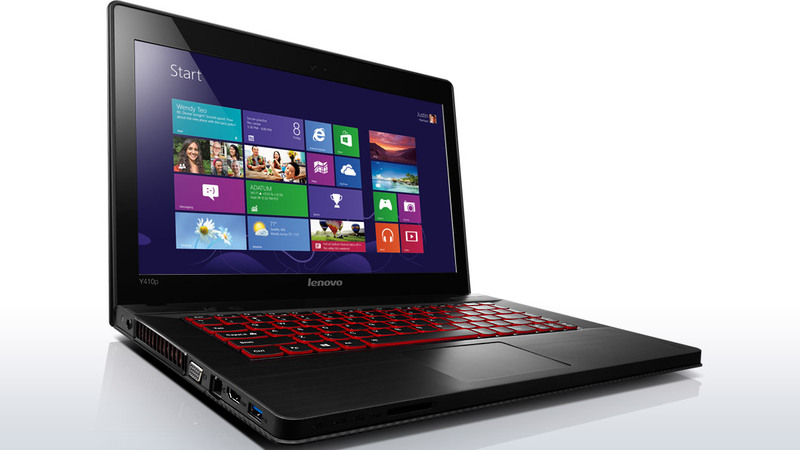 IT is powered by a 4th generation Haswell Intel i7-4900MQ with 8GB system RAM. These features may vary as the Sager/Clevo brand is known for allowing customer to configure the laptop to their specified preference in CPU, display default resolution, memory, GPU, keyboard language, and provisioning of I/O ports and other options. The bare unit comes with two changeable HDD/SSD SATA drive bays with Raid 0/1 configuration. You have the option to use an SSD for a Super multi Bly-ray combo optical drive or an mSATA solid state drive. Standard hard drive is a 750GB. It comes with high definition audio, s/PDIF digital audio out, and built-in Sound Blaster Cinema audio processing system, as well as built-in microphone and 2-watt stereo speakers. It also sports a range of wired and wireless data connectivity ports and a 9-in-1 card reader It comes bundled with the Windows 8 Pro 64-bit , a 1-yr Manufacturer’s warranty and an 8-cell Smart Lithium battery rated at 76.96 WH delivering almost 6 hours of battery life before charging. It is rare for a laptop to be driven by a Class 1 graphics card in dual SLI configuration as this Lenovo IdeaPad Y510p. It certainly defines what topnotch gaming prowess means at this price point. A 4th generation Intel Core i7 4700MQ Haswell processor powers this monster. It is clocked at 2.4 GHz (3.4 GHz with Turbo Boost) and supported by an 8GB DDR3 system RAM upgradable to 16 GB on two SODIMM slots. Its 15.6-inch LED backlit screen sports the highest HD resolution at 1920 x 1080. This is driven by a dual-card Class 1 NVidia GeForce GT 750M set at SLI mode with 2GB video RAM for each card. The GT 750 happens to be the 5th fastest NVidia graphics engine in the Class 1 category and could already power a laptop on its own with superb gaming caliber. With two cards, you can expect it to hurdle any resource-intensive game you throw at, with the exception of a few you can count on your one hand, like Company of Heroes 2. Minecraft would be breeze even at its highest resolution, provided it runs 64-bit Java. Other hardware features include a 1TB SATA drive running at 5400 RPM, as well as a host of data connectivity options such as a couple of USB 3.0 ports, a single USB 2.0 port, WiFi and Bluetooth. It also has VGA and HDMI ports, microphone and headphones jacks and a 6-in-1 media card reader. It also has a 720p HD webcam, and all these are housed in a 1.4-inch profile laptop weighing just 6.4 lbs. It comes bundled with Windows 8 64-bit OS. Check out our Lenovo Ideapad Y510 Review. We are currently reviewing the best laptops to play minecraft, there are 5 recommendations which varies from budget and playability. try windows vista its the best in the world “lies” i play on a 2003 dell its AWESOME!!! !